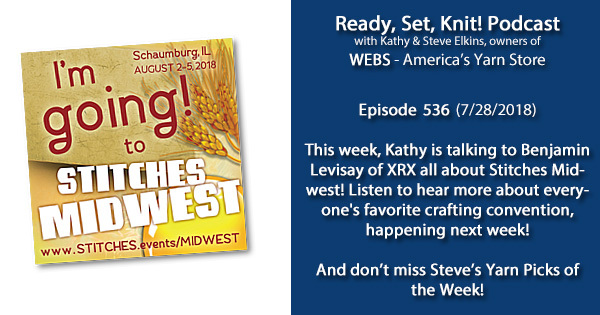 This week, Kathy is chatting with Benjamin Levisay of XRX all about Stitches Midwest, which is happening next week in Illinois! Visit the WEBS booth and say hi to our amazing team! We’ll be in booths 501, 503, 505, 507, 600, 602, 604, 606 – and don’t worry, they’re all together 🙂 . And don’t forget to click this link! If you’re going to be in the Chicago area, this coupon will get you 50% off your Stitches admission price! To check out class offerings and to see the market floor plan, click here! 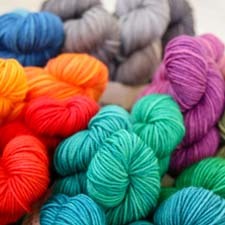 Northampton Sidewalk Sale is going on this weekend! Stop by the store today and Sunday to grab some great deals – and don’t forget to take a walk downtown to visit other local businesses! This entry was posted on Saturday, July 28th, 2018 at 7:18 am	and is filed under Uncategorized. You can follow any responses to this entry through the RSS 2.0 feed. You can skip to the end and leave a response. Pinging is currently not allowed.